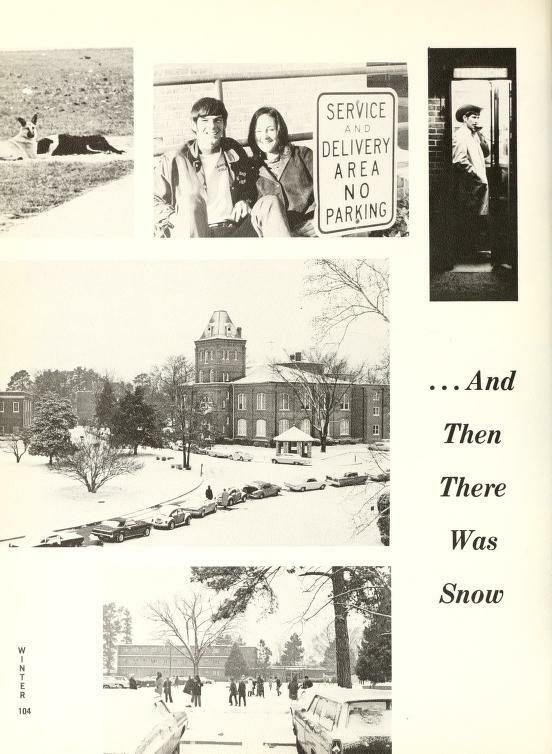 Although we don’t get it often, snow is not a novelty to Campbell. 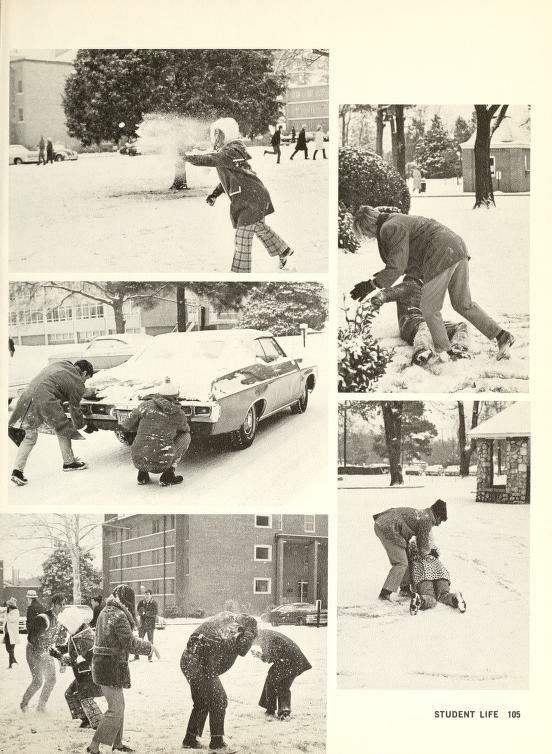 These photos are from the 1970 Pine Burr. I do believe their snow is slightly less icy. Ya’ll stay safe out there and enjoy the day off!